What Makes a Luxury Home? At CarrHomes, we’ve been building luxury homes in Virginia since 1925, so you can trust us when we tell you that we have a long tradition of excellence. Each home built by our builders is designed to enhance the lifestyles of those that will live there, so we create each home with a variety of luxury features. What makes a CarrHomes home a luxury home? 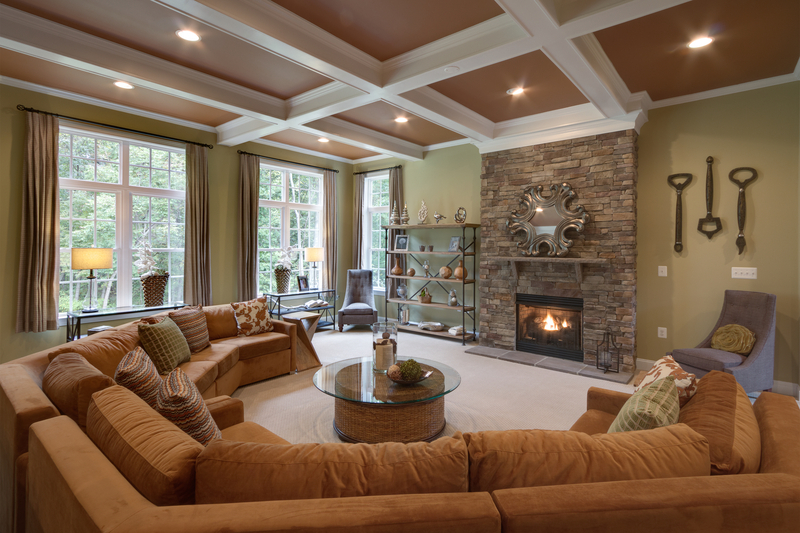 All homes built by CarrHomes feature beautiful crown molding, a timeless indication of luxury and extravagance. This may seem like an insignificant detail while reading about it in a blog, but have you ever walked into a spacious new home with crown molding? This visual detail creates an immediate feeling of prosperity, indicating to the person standing in the home that this house is truly a luxury home. Although many home builders use carpeted pine staircases in their homes, CarrHomes takes every opportunity to add beautiful details. 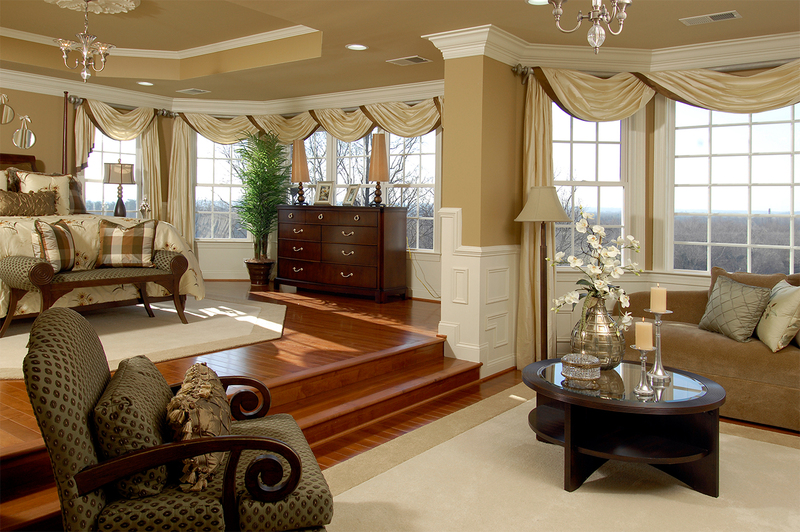 That’s why all of our luxury homes feature elegant oak staircases with carpet runners. 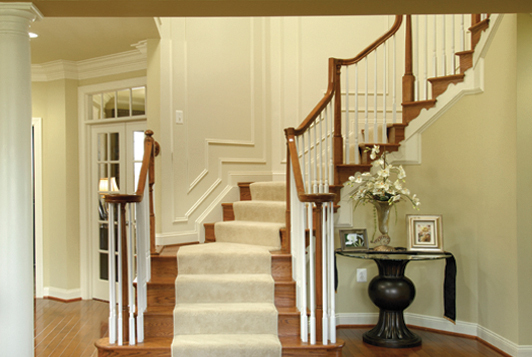 The visual appearance of solid wood stairs with a runner has the same effect as does a crown molding detail. It creates a feeling of extravagance while adding true architectural beauty to the home. The details that make a home a luxury home don’t always have to be as traditional as crown molding or a staircase with a runner. Many CarrHomes houses feature island cooktops in their kitchens. Do you spend a lot of time over your stove with your back to the rest of the room and your eyes facing the wall? An island cooktop allows you to face the rest of the kitchen while cooking! Some of our luxury homes include the upstairs loft option. There’s nothing quite like having a loft right at the top of your stairs to make you feel as if you’re living in luxury. Lofts make excellent media areas, reading areas, play areas, and offices. Since your CarrHomes home will also likely include a family room and a basement media room, this extra loft space could truly serve whatever purpose you need. Some CarrHomes houses include gorgeous stone fireplaces. These sorts of features are the ones that immediately draw the eye when you walk into a home for the first time. A beautiful floor to ceiling stone fireplace almost gives the impression that the home was built around it, granting the house a sort of age and hominess. Besides, what’s better than roasting marshmallows in your own family room? 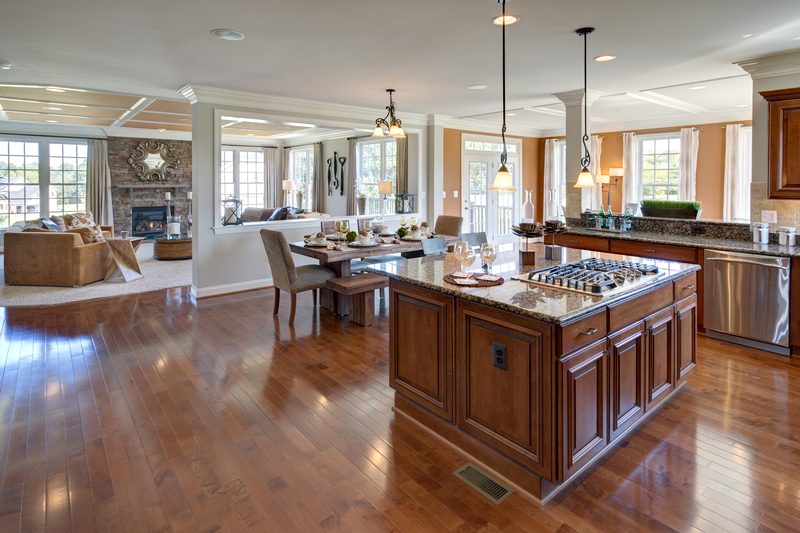 Take a few virtual tours of our luxury homes to see the CarrHomes difference for yourself.